Just seven years had passed since man first achieved powered flight when the Bristol Aeroplane Company first flew their new flying machine, the Boxkite. You would certainly be forgiven for mistaking the box kite for the Wright Brothers famous “Flyer” as it shares a number of similar features. The airframe features a forward mounted elevator, as many of the pioneering aircraft of the era did, along with a number of vertical tail surfaces in the box-like tail, which no doubt gave the airframe its name. 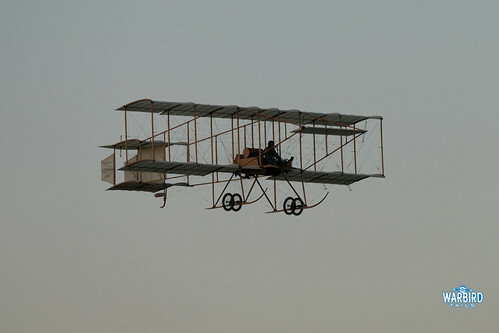 The box kite design was based around the previously successful Farman III which had proven the concept of this type of aircraft. Power came from a 50hp Gnome rotary engine mounted behind the pilot in a pusher configuration. One such design improvement over the very early aircraft was the use of ailerons as opposed to wing-warping. Early aircraft used to control roll by twisting or “warping” the entire wing, rather than the traditional aileron we have become used to. This early example of Aileron design gives the box kite a unique feature. When the aircraft is stationary the Ailerons drop down and rely on airflow to keep them in a neutral position due to the way in which the control wires are arranged. 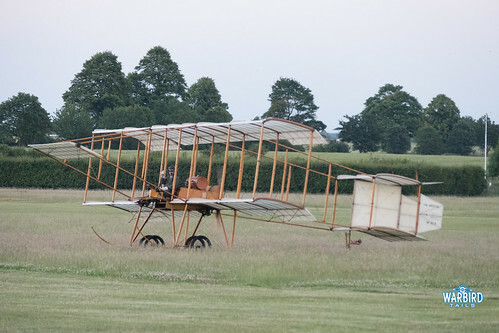 The type first flew on 30th July 1910 at Larkhill. 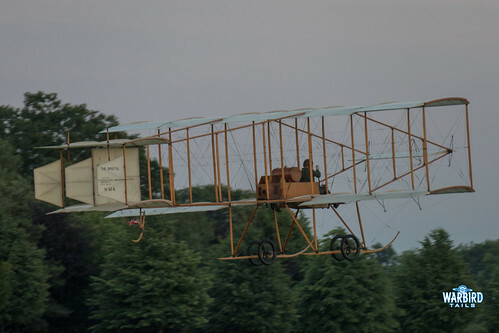 After the first fight two airframes were used in various trials across the country before the British War Office placed an order for four airframes in March 1911. The Boxkite was largely used as a trainer by the government, specifically with the Royal Naval Air Service until as late as 1915. The Boxkite became a common sight in British aviation before WW1 and many of the military pilots of the war would have gained their first flying experience at the controls of a box kite. 78 airframes were built in total, of which none survive today. As is often the case with historic aviation, the film industry played a part in resurrecting this unique type. 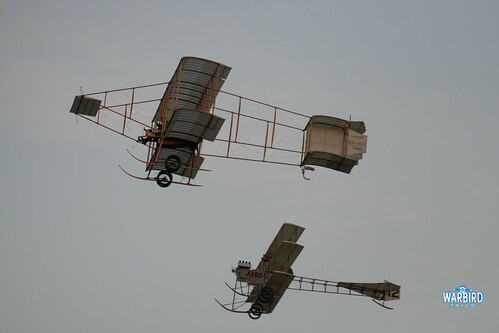 As part of preparations for the legendary film “Those Magnificent Men in Their Flying Machines” F.G Miles built three flying replicas. Rotary engines were not available during the construction of the replicas so a 90hp Continental flat-four engine was used. One of these replicas has been part of the Shuttleworth Collection for many years and is a regular airshow participant, providing a memorable finale late in the day, when the winds allow. The Boxkite is a truly unique sight in the skies today and provides an incredible insight into the earliest days of British aviation.